The Tamil Nadu Dr. MGR Medical University 1, Chennai - 600032, Tamil Nadu, India. Department of Pharmacy Practice 3, RVS College of Pharmaceutical Sciences 2, Coimbatore - 641402, Tamil Nadu, India. ABSTRACT: Background: The quality of education offered by Pharmacy institutions in the country varies widely. 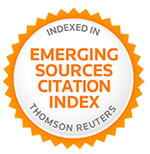 There are only a few institutions which maintain internationally recognized standard. Aim: To assess the pharmacy student’s (Pharm. D) perception today, their course, curriculum, and facilities provided. Methods: A postal survey was conducted on the Pharm. D students in Tamil Nadu, India, affiliated to The TN Dr. MGR Medical University. Students were evaluated for the perception on their curriculum, education, facilities provided and perception about the practice of clinical pharmacy in India. Results: 412 students responded to questionnaire. Based on the evaluated questionnaire, the student’s perception towards pharmacy education and curriculum seems to be very poor and survey also revealed poor inclination towards pharmacy as a profession. Student’s perception on scope and contribution was found to be unsatisfactory. Student’s learning tools, teaching methods and evaluation system were found inexpressive to the pharmacy students. Therefore, there is a need to change such a wrong perception and poor inclination from the minds of pharmacy students by the regulatory authorities. Conclusion: Findings of this study provide further recommendations for making adjustments in pharmacy education/ curriculum as well as improving the availability of clinical materials to effectively learn the trade of clinical pharmacy. INTRODUCTION: Pharmaceutical education in India was first introduced in the year 1932 at Banaras Hindu University by Professor M. L. Schroff. Currently, there are many pharmacy-related coursework offered in different institutions in India including Diploma in Pharmacy (D. Pharm), Bachelor of Pharmacy (B. Pharm), Master of Pharmacy (M. Pharm), Master of Science in Pharmacy [M.S. (Pharm)] Master of Technology in Pharmacy [M. Tech (Pharm)], Doctor of Pharmacy (Pharm. D), and Doctor of Philosophy in Pharmacy (Ph.D.). From the inception, the field of pharmacy education has travelled a long journey of almost 85 years, but the quality of Indian pharmaceutical education is still a question. A review of literature provides us with insight into the serious flaws and drawbacks in the Indian System of Pharmaceutical Education in general 1-14, but there was no study evaluating the curriculum of Pharm. D or study evaluating the current perspectives and problems of the Pharm. D students. This study aims at analysing the perception of Pharm. D students towards their coursework, facilities provided in their educational institution, and necessary future modifications in their curriculum. The Doctor of Pharmacy degree, abbreviated as Pharm. D is a six-year professional doctoral degree in pharmacy, which includes five years of academic study and one year of internship. It was introduced in India in the year 2008 with an aim of developing pharmacists within the profession as effective providers of patient care. Currently, there are 220 (as per Pharmacy Council of India website 2017) affiliated colleges running Pharm. D course in India. Study Design: The present study was conducted among all Pharmacy Colleges in Tamil Nadu running Pharm. D course listed in PCI website (2015 May), affiliated to The TN Dr. MGR Medical University;. The participants were Pharm. D students who come under the inclusion and exclusion criteria prefixed by the study team. The postal questionnaire used in this study was adapted from that of Glanz 15. The duration of data collection was six months. All the colleges were primarily contacted with a covering letter of the institutional research committee containing details of the study, requesting them to take part in the survey. All the responded colleges were then mailed with a packet of questionnaires along with a list of instructions. Development of Questionnaire: A survey questionnaire to access the attitude, perception and problems among students undergoing Pharm. D coursework was developed with reference to already established questionnaires to meet the objectives of the study. The questionnaire was then validated with the help of a healthcare professional team including physicians, pharmacists and academicians. Personal details of the respondents were excluded in the questionnaire to avoid personal bias. The questionnaire consisted of 24 questions (5 open-ended questions and 19 close ended question). Maximum time allocated for each participating college to respond with the questionnaire was 20 days. Necessary instructions were conveyed in the covering letters to each participating colleges. The participating college was instructed to administer the questionnaire in the presence of a faculty so as to avoid bias in the form of discussions and references among students while filing the questionnaire. The inclusion criteria were as follows: All full-time students studying all 4th, 5th and 6th year Pharm. D affiliated to The TN Dr. MGR Medical University and all Pharm. D post-baccalaureate students affiliated to The TN Dr. MGR Medical University. Exclusion criteria are: incompletely filled questionnaires and questionnaire which are found to be biased. Data Analysis: The complete data was analysed after collecting all the distributed questionnaires. The percentage response and significance were calculated using SPSS software. On completion of the analysis, the responses were systematically arranged for the ease of interpretation. RESULTS AND DISCUSSION: The study was initiated in the academic year 2015-16. There were 11 colleges affiliated to The TN Dr. MGR Medical University, which satisfies the inclusion and exclusion criteria at that time. Out of 11 colleges, six colleges responded by sending back the filled questionnaire with a response rate of 54%. A total of 412 students registered their responses for the current study. The questionnaire primarily evaluated the student’s opinion about the place where a clinical pharmacist should practice. About 48% of the students believe that clinical pharmacists have key roles to play in the hospitals, community, individual clinics and the majority (50%) supported clinical pharmacist’s practice at hospitals alone. 89% of the scholars believe that practicing pharmacists are authorised to teach. A greater proportion of the people who responded described that their college does not having their own training hospital. Even though 245 students report that they have well-established and functioning pharmacy practice department in their hospitals, a significant population (40%) opposes the same. It is surprising that about 167 out of total number of students under consideration have not even read their course regulation at least once. 95% of the prefer conducting the course (pharmacy practice / Pharm. D programme) at hospitals rather than in colleges. It is strange to know that many colleges lack an efficiently functioning pharmacy practice department. The confidence level varied largely among students undergoing the course. Most of the non-confident students complained lack of practical education and knowledge in their campus. There was equal number of scholars (12) who conveyed preceptor/ staff related and clinical exposure problems as a reason for deviations in confidence levels. The responses to the question evaluating the confidence of the students in attaining a job after the course clearly depicts the confused situation in a considerable number of students (19%). It is hopeful that majority of the students expect a job in hospital related areas (70%), followed by pharma-covigilance, clinical research, academic teaching job sat 13.5%,12% and 11% respectively. Positions in community pharmacy, scientific writing and other pharmaceutical industry are also considered by others. It is alarming that only a small proportion of students wish to undertake a job in India after completing their course, which may be due to lack of proper reputation and recognition for Pharm. D professionals in India or due to inappropriate establishment of job profile in India. The syllabus and curriculum always decides the capability of students to undertake a job after completing the course. The present study reports that about 48% responders are dissatisfied with the syllabus which they follow. 21% of the students propose that a systematically designed syllabus for training students to undertake challenges in health care practice is necessary. It is also strange to find negative responses towards questions concerning the focus of the course. Even though 94% of the students believe that a practicing clinical pharmacist would be better able to teach Pharm. D / Pharmacy practice students, there are very few teachers who practice pharmacy. Considering the educational setting of other successfully running medical courses like MBBS, BAMS, BHMS, BDS and Veterinary medicine where trainers are practitioners too, it would be better if practicing pharmacists train Pharm. D students. A significant group of students (59%) complains that there is no systematic means to measure the clinical knowledge of students undergo in the course. In most colleges, students are evaluated by their case presentations. Also there are colleges where quiz, viva voice exams, discussions and ward rounds reports are the basis of examining the clinical knowledge. The study clearly identified that slightly more than 70% of people undergoing the course is not getting proper hospital exposure as expected. The acceptance Pharm. D students among physician community is also reported to be 20% or less, which is considered as one of the prime reasons for lack of proper hospital training in many colleges. The students strongly believe that unawareness about the course and ignorance is the problem which makes physicians non-cooperative with the Pharm. D students. Lack of proper clinical knowledge among Pharm. D students is also stated by 9% of the students as the reason for ignorance among physicians. More than 90% of the students (380) expressed that it is mandatory to have a annual system of collecting independent reviews from students by governing bodies to improve the system of education and practice. Where do you think a clinical pharmacist should practice? 2 Do you think that practicing pharmacists are authorised to teach? 3 Does your college have your own hospital? 4 Do you have a well-established and functioning pharmacy practice department in your hospital? 5 Have you completely read your course regulation? 6 Do you think a pharmacy practice / Pharm D programme is supposed to be conducted at hospitals rather than in colleges? 7 Where is the pharmacy practice department running in your Institution? 8 Mention your confident level to take up the challenges in clinical practice? 10 Mention the confidence level of you getting a job after Pharm. D/ Pharmacy practice? 11 Which area do you think you will get a job? 12 Where do you want to practice after finishing Pharm. D? 13 Are you satisfied with your syllabus? 14 Do you think the syllabus which you follow is not sufficient to meet the needs of the hospitals? 15 Is your course more focused in terms of requirements of the hospitals? 16 Is your teacher a practicing pharmacist? 17 Do you think that a practicing clinical pharmacist would be better able to teach Pharm. D / Pharmacy practice students? 18 Is there any systematic means to measure the clinical knowledge of students in your colleges? 20 Have you ever felt that you lack proper hospital exposure? 21 Do doctors accept you as a fellow healthcare professional or their aide? 22 If your answer is b or c, kindly mention the reasons. 23 Have you ever felt that annual system of collecting independent reviews from students by governing bodies are necessary to improve our system of education and practice? A space was assigned in the questionnaire to express the views of students, where most of the students said colleges should facilitate the students to have good clinical exposure. There were also similar number of responders who expressed the need for syllabus change, improvement in the quality of education delivered, enhancing acceptance and awareness for the course. The study clearly recognised that there is a great demand for well-trained preceptors and teaching staffs, which is lacking now. The responses to each question is depicted in Table 1. It was expected that Pharm. D would play a major role in Indian health care system in the future, giving an opportunity for pharmacists to work more prominently in health care system but the current educational atmosphere and associated problems makes it doubtful. It is clear that Commercialization of education has a major role in creating this situation. The primary goal to be set in uplifting the course is to create awareness among the public and health care community about the need for a clinical pharmacist in hospitals, followed by an extensive revision in the Indian pharmaceutical education and pharmacy practicing standards. Revision should be implimented by ensuring necessary faciities in colleges like labs, other infrastructures, well trained faculties and hospitals. College managements should create an atmosphere where updated professionals and students could only survive in colleges. Setting strict entry requirement in new admissions for the course can ensure talented students grtting admitted to the programme. Total quality management programmes are also a practically proved measure in improving the quality of services provided in colleges. Meaningful use of technology in studies and teaching can also be considered during the reconstitution of pharmaceutical education in India. Updated curriculum and educational regulations can bring great changes in the confidence levels of students completing the course. Limitations: The study has three limitations. First, we were unable to circulate the questionnaire to every pharmacy student all over India. Second, we could not interact with most respondents personally as we mailed the questionnaire through post and received the response through the same. Third, longitudinal studies are also needed to indicate changes, if any, in students’ perceptions of pharmacy curriculum and profession. CONCLUSION: The study population suggested a direct need of increasing awareness about the Pharm. D course among all the individuals in India, and this can be done by conducting conferences, local meetings, and awareness programs across the country. The respondents assured that the Pharm. D’s have a very bright future in India, if they are up to the standards they are supposed to be. Therefore, we recommend that several such studies of similar kind should be conducted to develop strategies to improve the effective functioning of Pharm. D program in India. We hope that the suggestions of the respondents will be considered by the higher authorities in order to raise the standards of the course and make it well established in India. Results of this pilot study can serve as a foundation for further investigation about pharmacy students’ perceptions of the curriculum and the profession. Similar qualitative studies and assessments are recommended to obtain an ongoing account of pharmacy students’ to further enhance pharmacy education programs. Tharappel LJP, Kaur G and Buttar HS: Pharmaceutical Education in India: Past, Present and Future. Journal of Pharmaceutical Sciences and Research 2014; 6(8): 278-281. Sachan A, Sachan AK and Gangwar SS: Pharmacy education in India and its neighbouring countries. 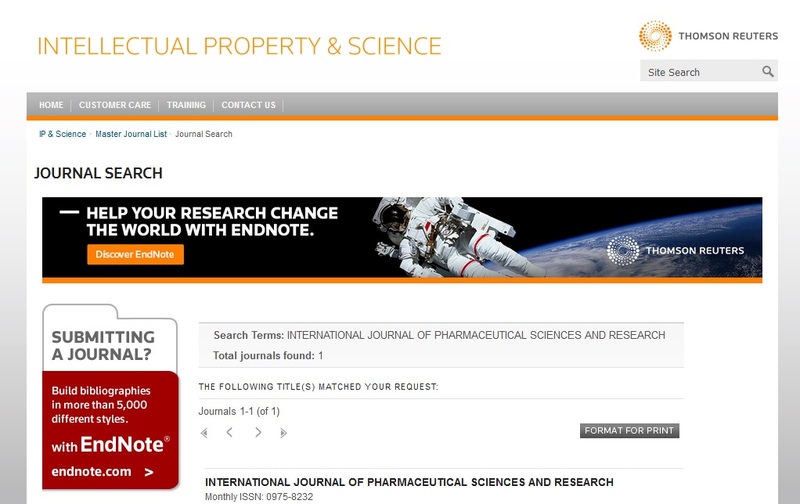 International Current Pharmaceutical Journal 2012; 1(9): 294-301. Basak SC and Sathyanarayana D: Pharmacy education in India. American Journal of Pharmaceutical Education 2010; 74(4): 1-8. Singh B and Katare OP: Need of quality education for changing pharma world. Indian Journal of Pharmaceutical Education and Research 2009; 43(2): 203-215. Hardas AP: Glimpse of pharmacy profession in India. Journal of Drug Delivery and Therapeutics 2012; 2(2): 4-7. Basak SC, Van Mil JW and Sathyanarayana D: The changing roles of pharmacists in community pharmacies: Perception of reality in India. Pharmacy World & Science 2009; 31(6): 612-618. Toklu HZ and Hussain A: The changing face of pharmacy practice and the need for a new model of pharmacy education. Journal of Young Pharmacists 2013; 5(2): 38-40. Sharma R, Gangwal A and Negi V: Pharmacy curriculum and pedagogy need to be changed for better placement of students: An untold story of unsung heroes. Journal of Current Pharmaceutical Research 2010; 2(1): 1-4. Kulkarni GT: Pharmacy profession in India: Where are we heading? Journal of Chronotherapy and Drug Delivery 2013; 4: S1-S2. Basak SC and Sathyanarayana D: Pharmacy education in India. American Journal of Pharmaceutical Education 2010; 74(4): 68. Shivhare SC, Malviya KG, Srivastav Preeti, Shivhare UD and Atneriya UK: A review: Indian pharmaceutical education and its regulatory authorities. Research Journal of Pharmaceutical Dosage Forms and Technology 2012; 4(1): 14-18. Revikumar KG and Veena R: Doctor of Pharmacy education in India - strengths, weaknesses and opportunities, A critical analytical study based on five years existence in India. Journal of Harmonized Research in Pharmacy 2014; 3(2): 30-47. Jishnu V, Gilhotra RM and Mishra DN: Pharmacy education in India: Strategies for a better future. Journal of Young Pharmacists 2011; 3(4): 334-42. Kalyani G and Sharma DK: A strategic review on pharmacy education in India with future concerns, European Journal of Biomedical and Pharmaceutical Sciences 2016; 3(10): 180-182. Glanz A, Byrne C and Jackson P: The role of community pharmacies in the prevention of AIDS among injecting drug mis-users: findings of a survey in England and Wales.BMJ 1989; 299: 1076-9. Tomy S, Mathew S, Cheriyan JJ, Krishnan SH, Ajmal M, Kurian S, Aswin R, Manavalan R and Chander SJU: Attitude perception and recommendations by ''Pharm. D'' students undergoing their coursework in a Government University - a mailed questionnaire survey. Int J Pharm Sci & Res 2018; 9(10): 4505-11. doi: 10.13040/IJPSR.0975-8232.9(10).4505-11. Authors Address: Department of Pharmacy Practice, RVS College of Pharmaceutical Sciences, Coimbatore, Tamil Nadu, India.